We see it every day, “Facebook is more popular than Google Plus, and G+ is boring” or “Everyone I know is on Facebook“. Okay, fine. So What? Are you looking for an entertainment source or are you trying to build an online business? This is our third instalment of the “Your Online Reputation Counts” series (See Part 1 & Part 2). Referral traffic is other places on the net sending people to your blog or website. This can be broken down in detail but, basically, it’s traffic from other blogs, websites and social connections. Search traffic is more obvious, at least at first glance but keep reading, looks can be deceiving. So Google is the big fish in search, hands down – no contest. We still want other search traffic but most of us can agree that, for time being, Google is the one to focus on. So as big as Facebook is, they’re still not Google. The same with all of the social networking sites, they are important and should be used, but why is Google so important? Why Google Plus? Who cares about Google Plus, it has nothing to do with search or SEO, right? Wrong! A big, screaming from the roof tops wrong. 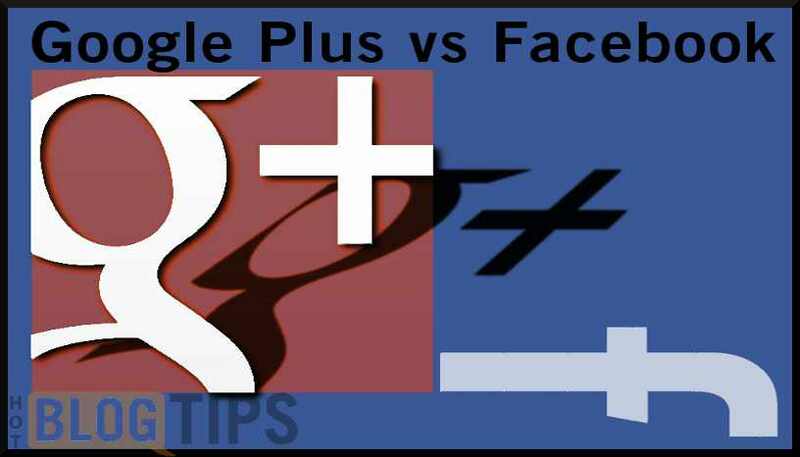 Google Plus will help you with both referral traffic and search traffic. It will also hurt you, if you are not cautious; more on that later. With Googleâs Personalized Search, we all see search results based on our history, location and dozens of other factors. Even when you’re logged out of Google, it’s been reported they use 57 personalized factors to determine which search results you are shown. As disconcerting as the ramifications of being put in a bubble (see video) is, the fact is we are there. We’re not talking about the future of internet search; we’re talking about today – right now. I don’t like it, most people that discover it don’t like it and I’m sure there are a million SEO consultants that hate it. But, it is what it is so letâs move on and make the best of it. 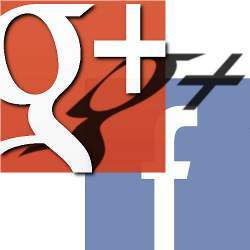 So you set up your Google Plus profile, and hopefully your business page and you are somewhat active. That’s great, now what? We need people to circle us right? We all learned from Twitter the best way to get followers is to follow and hope they follow back, right? I hate to keep saying this but, no, that’s wrong. We don’t want to circle to get circled. We want to circle only those we want to be publically associated with – because we are. Those connections we make on Google+ do influence our personalized search results on Google. Personally, I couldn’t care less about my search results; I know how to find what I’m looking for. I’m concerned about people finding me, more to the point, my content. Circles are actually a great name because that’s what’s going on… circles of influencers. We want to be an influencer and we want those we circle to be a positive influence on our brand and where it shows up and to whom it shows up in the search engine results. Remember, reputation counts and that includes association. We think of a +1 as a ‘like‘ or ‘thumbs up‘ but we should be looking at it as a personal endorsement because that’s exactly how Google is viewing it. If you +1 an article on iPhones, you’re likely to see search results, when applicable, geared toward the iPhone or Apple. It goes deeper than that. If you +1ed that iPhone article and someone that has circled you on Google Plus makes a similar search, are they more likely to see the article you endorsed? As far as I know, Google says it won’t affect the positioning BUT they will see your endorsement on the search results, thereby generating higher clickthroughs. Can you think of a bigger factor to your online reputation than personal endorsements? Now consider the whole World is subject to seeing those recommendations. Be careful what you +1! Google has a clear direction, at least when it comes to search and advertising. Google wants users to get the searches results they need, even if they don’t know they need it. Eat your Brussels sprouts Tommy Billy! Google thinks we live in a vacuum and our circles ofÂ influenceÂ should help determine what we see, both in search results and ads served. Facebook is following in Google’s footprints with things like EdgeRank, and they’re a powerful tool to master but… they ain’t no Google. The writing is on the walls and I don’t mean Facebook walls. (Pretty clever, right? lol) Google is integrating Google Plus across their various platforms, at least the ones that fit and they haven’t kicked to the curb. In today’s environment, if I had to choose between a Facebook page or a Google Plus page, I’d delete my Facebook account in a minute. Luckily, in this case, we can have our cake and eat it too. I’ve been writing and talking a lot about influence and reputation lately and this falls right into that all important topic. Who we endorse (circle) and what we endorse (+1) will ultimately influence not only our personalized search, but our friends search. You can see how these little circles we’ve been placed in will affect our brand, our blogs and our online income, right? Am I way off? Are you taking Google Plus seriously or do you think it’s going on the long list of failed projects Google abandoned? I’d love to know your thoughts on personalized search, the future of search, SEO and social networks. In fact, that’s one of the biggest reasons I’m sitting here typing away with two fingers.